Did The Flash Just Reveal The Identity Of Its Next Big Bad? 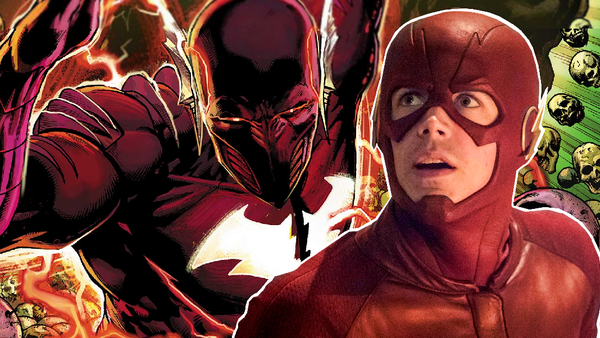 Is The Dark Knight set to steal The Flash's speed in Season 6? The Scarlet Speedster and his allies may currently have their hands full with Cicada on The CW's The Flash, but that hasn't stopped the show from potentially laying the groundwork for its next villain. The latest episode, ‘Memorabilia’, saw Barry Allen and Iris West end up inside the consciousness of their daughter, Nora. This gave them the opportunity to explore the future through her eyes and even allowed them to see what the almighty Flash Museum looked like. However, upon entering the Hall of Villains, they came across the Cicada section and spotted a young Nora, who was watching a brief clip of an aged Captain Singh speaking about the Big Bad's reign of terror. The mere mention of The Red Death is enough to send shivers down the spines of comic book fans. 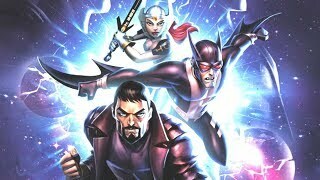 The character first appeared in DC's Metal saga, which saw alternate versions of Bruce Wayne within the Dark Multiverse merge with fellow Justice League members, and is a demonic amalgamation of The Flash and Batman that takes form after an evil Caped Crusader steals his ally's speed in an experiment that ultimately fuses them together. But could The Red Death end up as the Big Bad of The Flash's sixth season? It's certainly possible, given that this isn't the first time that the show has name-dropped a villain that surfaced the following year (Clifford DeVoe, anyone?). Furthermore, after refusing to directly acknowledge Batman's existence for years, the Elseworlds crossover finally confirmed that The Dark Knight does indeed exist within the Arrowverse. But is he set to target the Scarlet Speedster next year? Do you think we’ll see The Red Death show up on The Flash? Tell us in the comment section below.